Lips: Revlon "Fire & Ice"; Nails: Sinful Colors "Irish Green" & "Mint Apple"
Snapped these on our way to pick up take out off Montana Street. Never underestimate those pieces that you've had in our wardrobe forever. A flirty skirt, soft tank and basic sandals are a great recipe for an easy outfit. Throw them on with some red lips and you're good to go! Love your skirt! So bright and the print is amaze!! 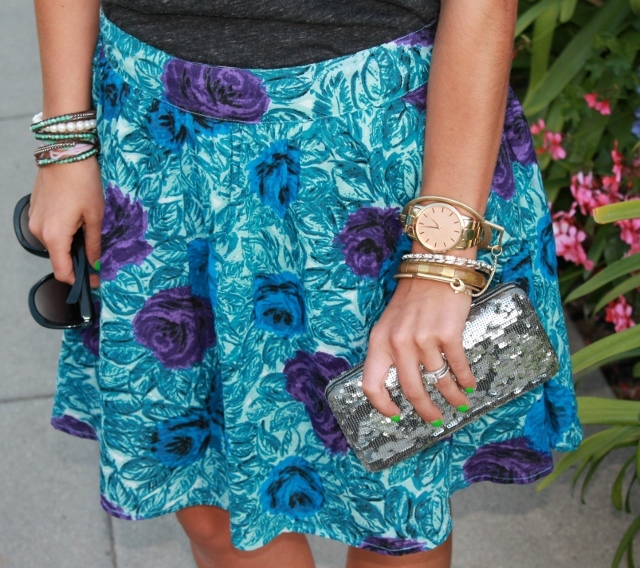 love that skirt, so bright and cheery!